If you'd told me a year ago that Simon and I would be walking the streets of the Toon on the Newcastle Festive Fizz Trail I would have probably pulled a face. 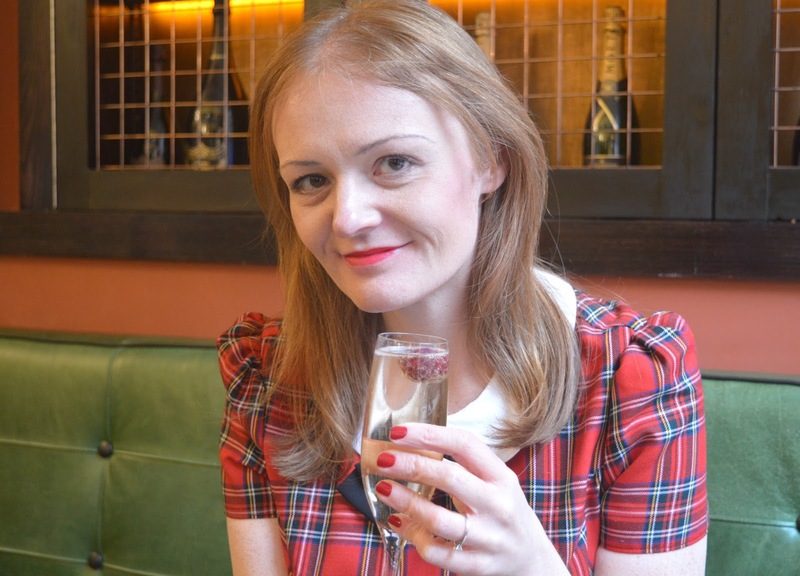 I've never really liked Prosecco or Champagne and only ever had the occasional glass at weddings. The last 12 months it's been all change at New Girl in Toon HQ, maybe it's all the weddings I've been to this year or maybe it's those bottles of champagne Simon and I were given to celebrate our house purchase and engagement, but suddenly I'm quite a fan of sipping fizz out of a fancy flute. 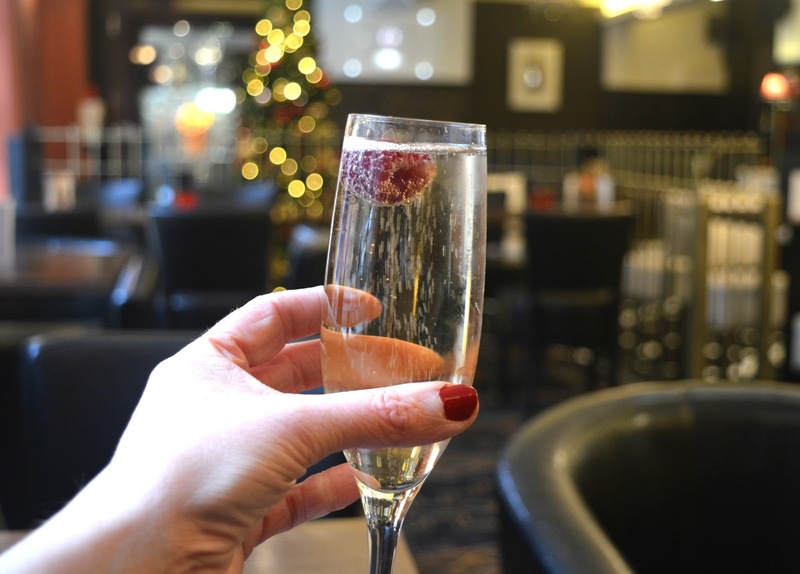 So, as a Christmas treat, Simon and I decided to spend a Saturday afternoon drinking Festive Fizz and set ourselves the challenge of finding the very best champagne bars in Newcastle. If you're after a drink on a Saturday in December I'd always recommend heading towards the Quayside where you're far away from the Christmas shoppers and the bars tend to be quieter during the day. 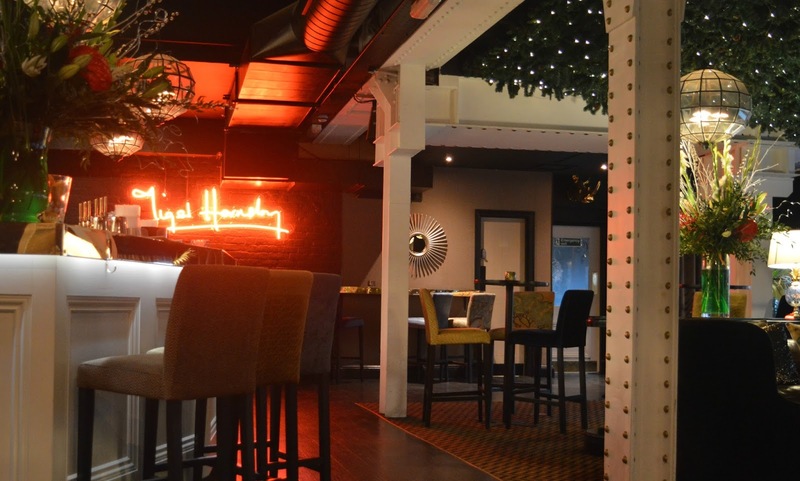 Our first stop was the Glasshouse, Newcastle's only dedicated champagne bar and somewhere we haven't been since its launch night earlier in the year. The tiled floor and opulent gold detailing gives Glasshouse a wonderful Gatsby feel and as we chose a table we were feeling pretty glamorous, even at 2:00 pm on a Saturday afternoon. The drink menu at the Glasshouse is a rather epic book full of vintage bottles and fizz based cocktails. Not being much of an expert I didn't really know where to start so decided to play it safe and order a glass of house fizz. The Champagne de Malherbe NV promised a soft well rounded champagne and a hint of vanilla and biscuits on the finish. It went down a treat! If champagne is your thing the Glasshouse has some great little extras on offer, Champagne Tastings from £39.95, a Moet and Chandon Experience from £45.95 and even a champagne afternoon tea. 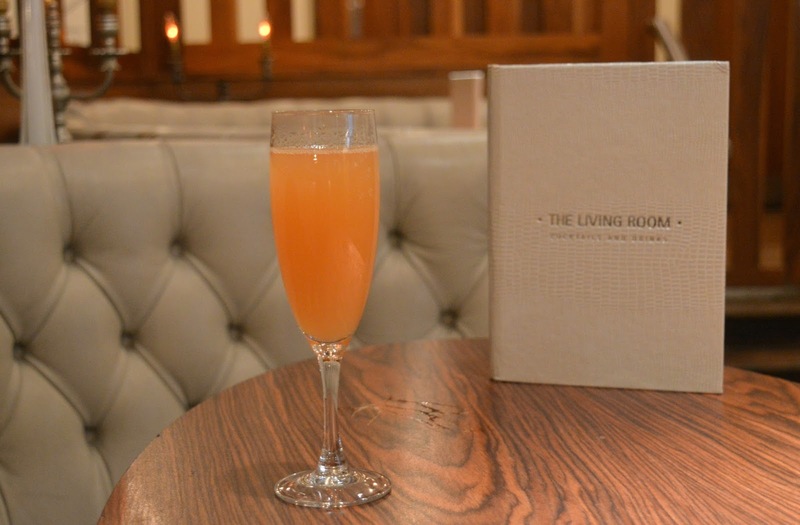 If cocktails are more your thing make sure you head to the bar before 7:00 pm for Club 247. Deciding to take the party down the hill towards the Quayside we thought it would be nice to try somewhere we hadn't been before for our second bar so headed to Tiger Hornbsy. The bar is a cosy little den of squishy chairs and dark corners softly lit by the roof covered in fairy lights, very appropriate for the season. 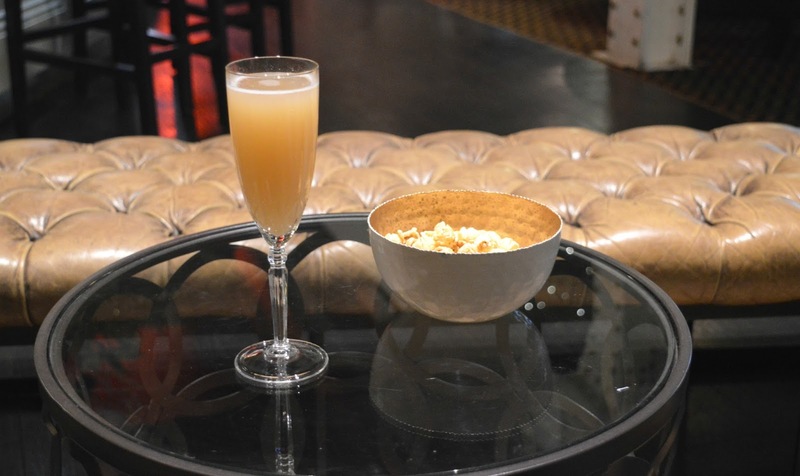 We found ourselves a comfy sofa and relaxed with a delicious Belini which came served with a bowl of popcorn which was soon empty. It was at this point that the fizz began to make me feel truly festive and there began an afternoon of trying to persuade Simon to put the Christmas tree up the second we got home. He found me pretty hard to ignore as soon as I decided to ask everyone on Twitter to help me convince him. A short stroll across the road lead us to our next destination, Churchills, a bar that not many know about as it's hidden beneath the Vermont Aparthotel. It's an absolute hidden gem and a great place to head if you're wanting somewhere warm with loads of comfortable seats, just don't tell too many people about it as you'll ruin my secret little hiding place. 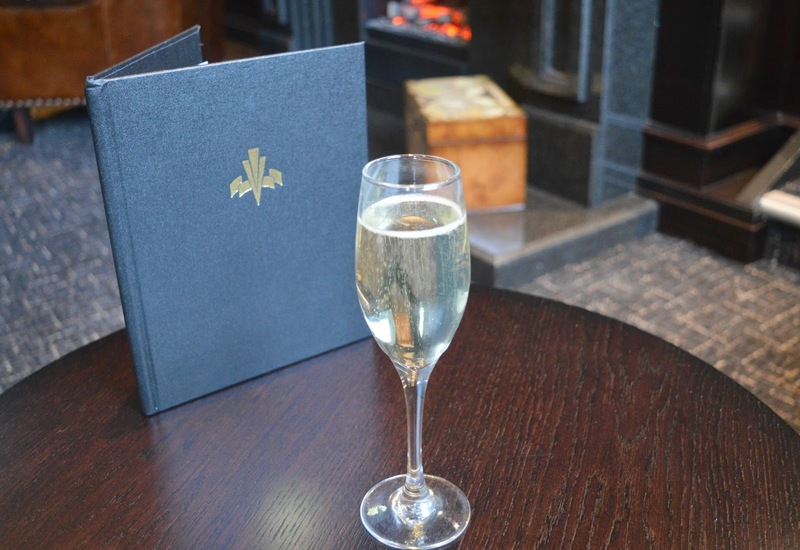 Churchills is a fantastic place for a glass of fizz with someone special. It's so peaceful and has a lovely calming atmosphere, just what you need to escape the Christmas madness. 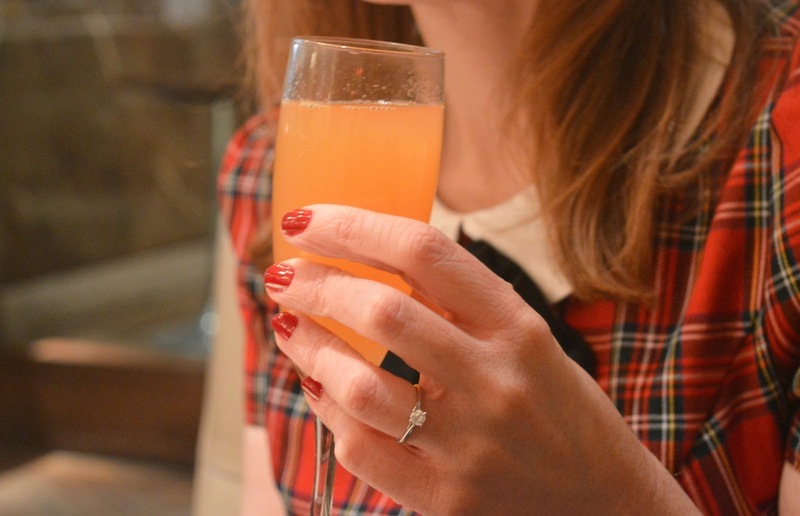 We settled down in front of the fire with a glass of Prosecco and I was beginning to think maybe the Newcastle Fizz Trail should be our new Saturday thing! We decided to visit one last bar before going home and strolling back up the picturesque Grey Street we decided to make The Living Room the final stop of the afternoon. The Living Room in somewhere we visited quite a bit when I first arrived in Newcastle. It's a great place to head for a drink on a Saturday afternoon, far enough from the shops to not be too busy but still with plenty of atmosphere. Feeling a little cheeky we sneaked our way down to the Basement Bar, which was, strictly speaking, supposed to be closed. Walking hand in hand back into the centre of Newcastle I will admit we were feeling a little giddy and high on life and fizz. As for the Christmas Tree? We put it up as soon as we got home! 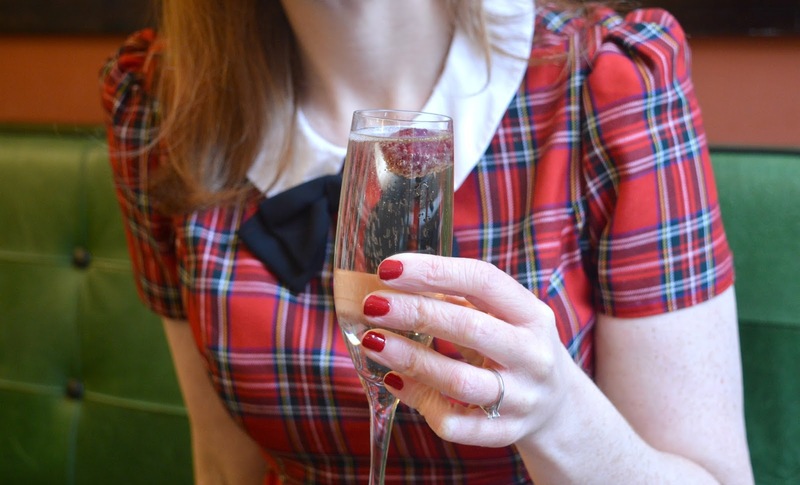 I love the idea of a festive fizz trail!